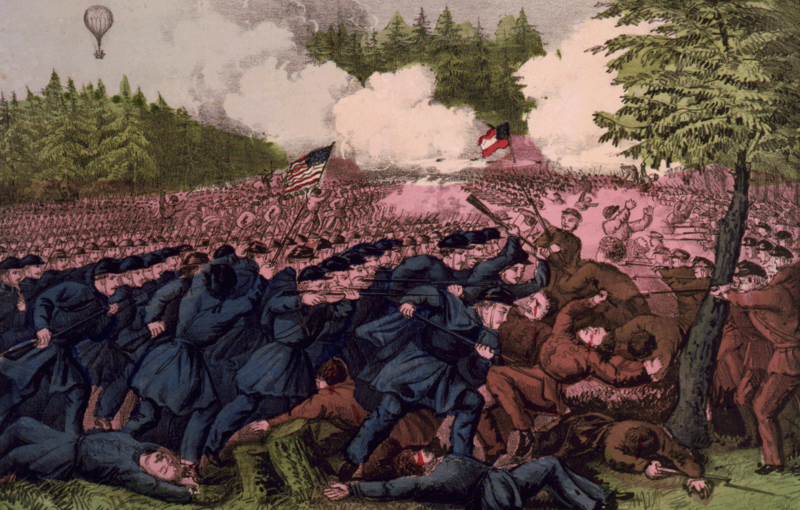 On the Battlefield June 2nd 1862. With feelings of the deepest commiseration I addres this note to you to communicate what I know will be a deep blow to your heart and a source of affliction to you for ever- namely the death of your husband Patrick Dunnigan which was occasioned by wounds received in bloody action of yesterday (June 1st Sunday) words of mine fail to express to you the deep sorrow which has seized hold of all who were acquainted with. I mourn him as a brave and gallant soldier who following me as I bore the Green flag of the Regt triumphant in my hands at the head of the Collumn fell nobely fighting by my side. May your sorrows be a little eased and the dark now pierceing your soul be withdrawn by the recollection of his honesty- his calmness- his nobility of soul- and finaly his last noble efforts beside the flags of his native and adopted fatherland. His comrades mourn the fellowship of one who in life never amongst us had known a foe. I may as well be minute as I can be in describeing how he came by his death- several lines of battle had been formed in front of us and were of themselves sufficient to drive back the enemy. The entire of the Division (Richardsons) being on the ground. The day before (Saturday May 31st) the rebels had advanced in great force and drove back Gen Caseys Division. Reinforcements were immediately ordered up and hence it was that our Brigade with General Meagher at its head was ordered to the front. On the night of Saturday we reached the battlefield and bivouacked thereon that night- the fields around us were strewn here and there with killed and wounded soldiers some of them friends others enemies. At erly dawn on the morning of yesterday (Sunday June 1st) we were aroused from our chill slumbers and in a few moments afterwards our skirmishers were thrown forward through the woods in front and flank where some brisk fireing took place. We were in collumn by Division in rear of our line of battle and were protecting the artillery upon its right. Soon heavy fireing was heard and dense clouds of smoke rose from the woods upon our left. We deployed into line and fronted the enemy. Brisk fireing and skirmishing continuing all the time- the 69th Regt Irish Brigade was formed in line upon our right and the whole line of battle swept into the woods to meet the enemy- the advance was interrupted owing to the nature of the ground and the 88th Regt flanked by the left through the denslly wooded grove- upon nearing the plain outside the wood I was ordered to carry the Colors to the front of the Collumn and head its advance- raising the green flag and the Stars and Stripes over us we passed forward and marched by fileing to the right out upon the clear fields when the enemy opened a heavy fire upon us and nearly caused the head of the Collumn to waver- when dashing forward into the plaine we were enabled to form line. It was while following the Colors of the Regt in the thickest of the fire and flood of lead that your gallant husband fell fighting by my side- a rifle bullet haveing pierced his right leg passing through his right leg and through. He was conveyed to our hospital where I went to visit him and had the doctors treat him as well as possible. He appeared to me to be extreamly exhausted as he no doubt was and he spoke very little to anyone save to myself to whom he chatted freely- the continuance of the fight compelled me to take command of my company and towards morning (June 2nd) he ceased to live. In his pocket which had been opened by my lieutenant (O’Brien) were the following effects which he has handed to me- viz a ten (10) Dollar bill- a pen knife ink bottle a piece of a latter you had written him and from which I learned your address- some heads of pipes- a pencil case tobacco. The 10 Dollars I herewith enclose to you at the same time assuring you of the deep sympathy I feel for you in this your bereavement. Patrick Dunnigan Widow’s Pension File WC954. New York Irish-American Weekly 18th October 1862. 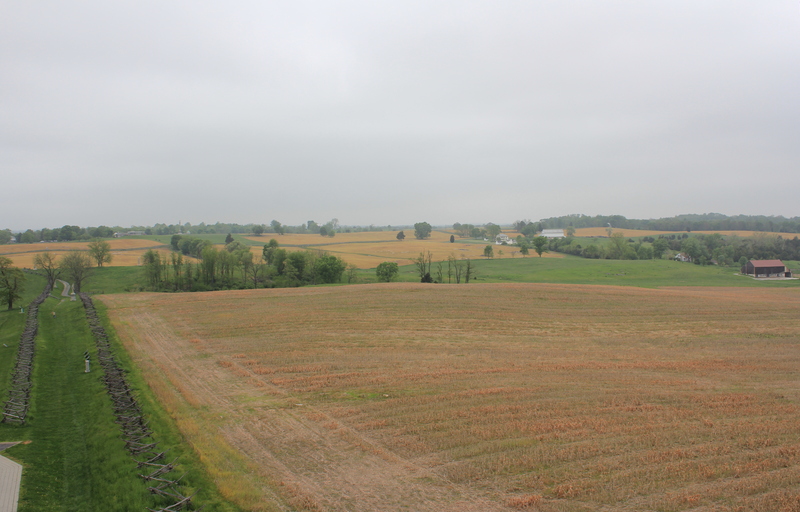 Antietam- The Dead of the Brigade. 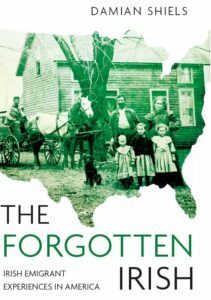 A timely reminder of the sacrifices made by Irish emigrants to the United States in the mid-nineteenth century. 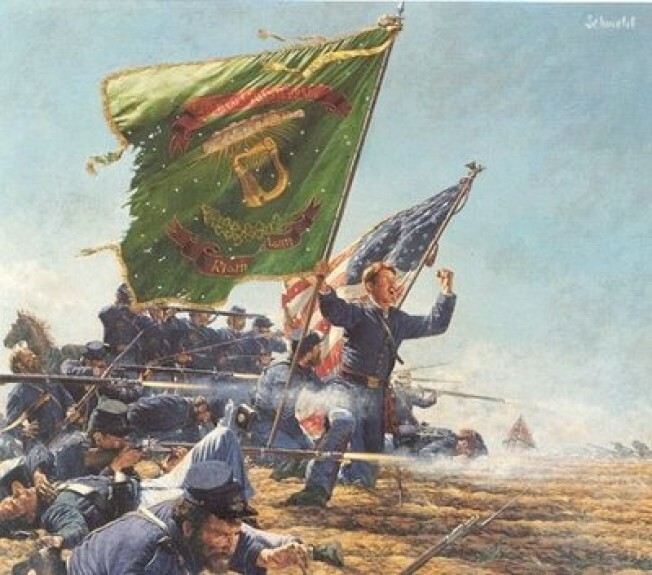 The performance of the Irish Brigade at the appallingly bloody battle of Antietam was deeply heroic. 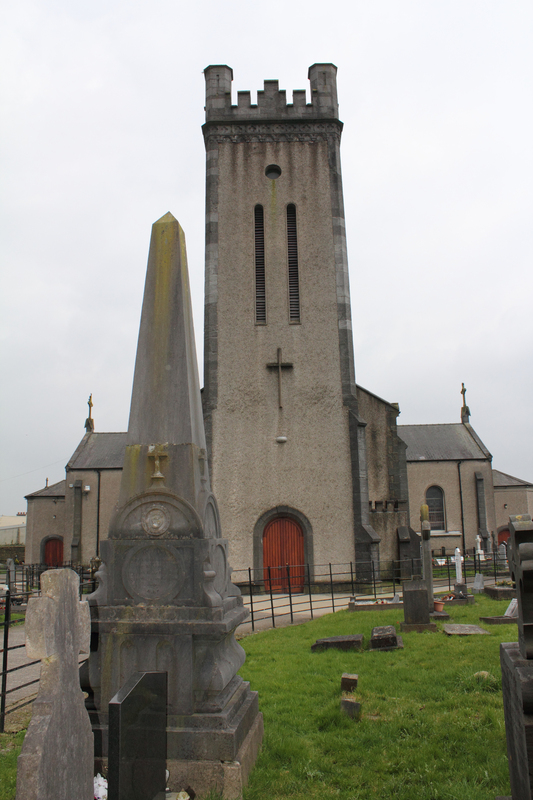 It was nice to see that a memorial to Patrick Clooney was erected in Ballybricken churchyard – a rare monument of its type in Ireland. The mention of Clooney’s experience in the Papal army is important – he wasn’t the only Irishman with recent combat experience in Italy to fight for the Union. I wonder if the Union army held such experience in high regard? Indeed it was. They did indeed a number of the officers of the Papal Battalion later served in the Union military, largely based on an invitation extended by Archbishop Hughes of New York. Perhaps the most famous was Myles Walter Keogh, who met his end with Custer at the Little Bighorn. Excellent find my friend. With your permission, may I link it to our web site? Thanks! And please do that is no problem at all. Many thanks and thanks for reading! Thank you so much for that particular story about Patrick Clooney. The print of Captain Clooney’s Charge hangs in my office. When the print was framed, the owner of the frameshop told me was honored to have the opportunity. I recently purchased your book, “The Irish in the American Civil War,” and look forward to reading it. I am glad you enjoyed it! Also many thanks for purchasing the book, be sure to let me know what you think! I am jealous of your Clooney print, I hope to get a copy myself someday!